In a chemical reaction, reactants are converted to product at a given rate. This rate can be changed by alternating either the temperature of the reaction, the form of the reactants, the concentration of reactants or products or by adding a catalyst. The time it takes for a reaction to occur is monitored by observing a color change. By varying concentration of reactants the rate law is determined. By varying the temperature the activation energy is determined. 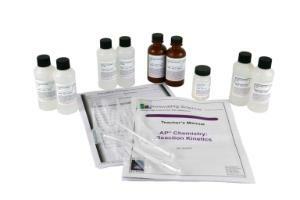 The data should be graphed and analyzed during the lab so additional measurements can be made if necessary. 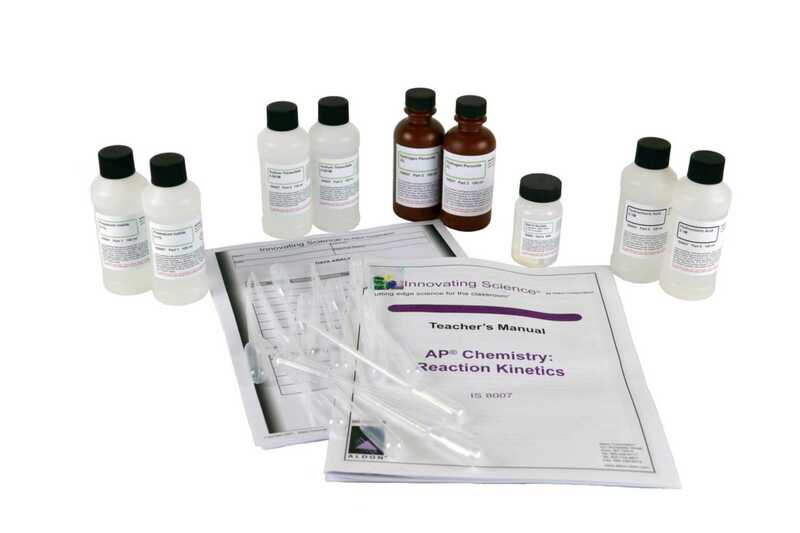 Ordering information: Includes Potassium Iodide Solution, Sodium Thiosulfate Solution, Hydrogen Peroxide Solution, Starch Soluble, Hydrochloric Acid Solution, and Pipettes.